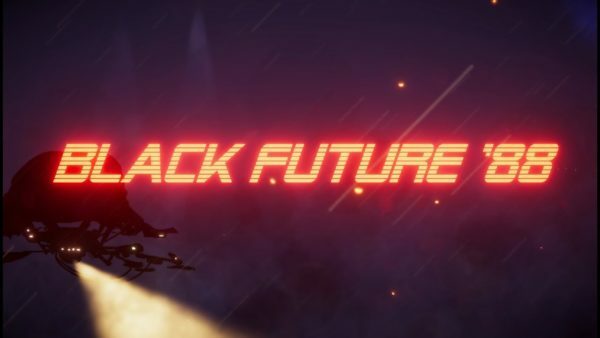 Black Future ‘88, a synth-punk 2D roguelike action shooter, will be coming to PC later this year thanks to Good Shepherd Entertainment and indie developer SuperScarySnakes. In Black Future ‘88 it never stopped being the 80’s and the trailer below shows the game in all its neon retro futuristic glory. Black Future ‘88 takes players to a neon lit alternate reality where the world has been plunged into darkness following a nuclear cataclysm caused by Duncan, the tower architect. When his nuclear bombs dropped around the world in 1988 the sun was blocked out and the rain never started and never stopped. Only a hand full of survivors remain and players take the role of one determined to climb the tower and kill Duncan before he dies. Players will climb, jump and dash their way up an evolving procedural tower cutting a path through the myriad of obstacles including deadly traps, homicidal robots, crazed junkies and colossal boss-grade Wardens. There are five different playable characters to choose from each with their own unique powers and these characters can be kitted out with a selection of dozens of brutal weapons and special buffs/curses to survive. For those not wanting to play alone there will be a two player couch co-op and daily challenges against other players. Black Future ‘88 will be available later this year.